Cellist Rebecca Wenham’s performances have been described as “silken, highly refined” (the Globe and Mail) as well as having “extraordinary commitment and maturity” (La Gazette). Her animated playing style is often surprising, dramatic and impulsive, leaving a breathless audience on the edge of their seats. She has performed across North America, Mexico, Europe, Japan and Australia. 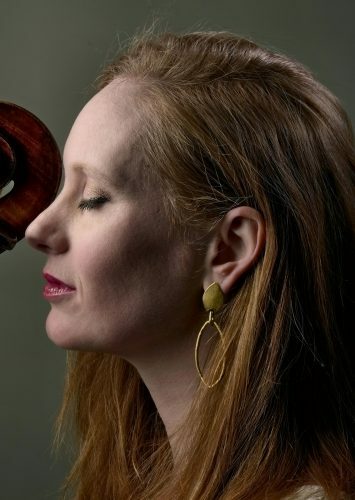 Formerly a member of the Cecilia String Quartet, she won prizes in the Osaka, Rutenberg, Bordeaux and Banff International String Quartet Competitions, and was a CBC Galaxie Rising Star in 2007. Highlights of the 2015 season included performances of Elgar cello concerto with the Vancouver Philharmonic, Brahms Double Concerto with the Lion’s Gate Sinfonia, and Schumann cello concerto with West Coast Symphony Orchestra. This past May, Music on Main presented Rebecca in a program of solo cello exploring works that highlight divergent musical styles (all composed in the 21st century), from classical to music by jazz cellist Peggy Lee and rock violinist Sarah Neufeld. A member of Microcosmos Quartet since 2011, an ensemble committed to performing music of the last 100 years (or so), she presents programs in intimate settings such as private homes, art galleries, clubs and small halls. Microcosmos Quartet held its inaugural string orchestra mentorship program, the Kessler Academy, in September 2015. Rebecca is principal cello of the Vancouver Opera Orchestra. Her projects have been generously funded by the Canada Council, the BC Arts Council and ProQuartet. She holds degrees from the HARID Conservatory of Music, and from Rice, San Diego State and McGill Universities.